BEIJING — Asian stock markets were mostly lower Thursday following Wall Street's decline in light trading with exchanges in China and Korea closed for holidays. 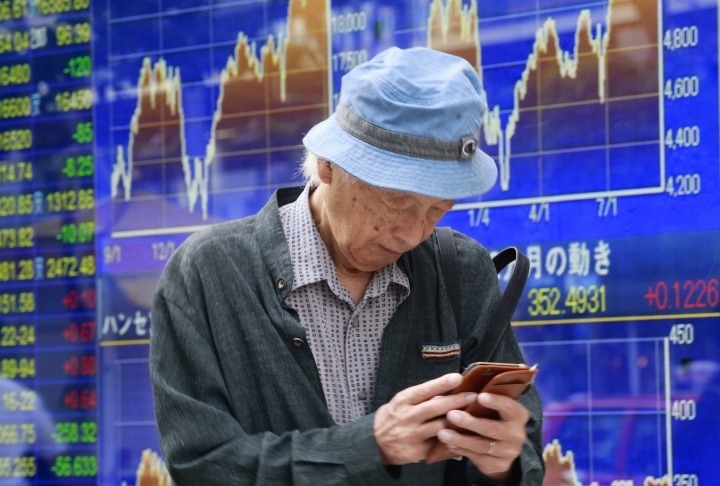 KEEPING SCORE: Tokyo's Nikkei 225 tumbled 1.3 percent to 16,391.39 points while Hong Kong's Hang Seng gained 0.5 percent to 23,300.29. Sydney's S&P ASX 200 retreated 0.2 percent to 5,214.50 and benchmarks in New Zealand, Singapore and Malaysia were lower. Exchanges in Shanghai, Seoul, Kuala Lumpur and Taipei were closed. WALL STREET: U.S. stocks declined as energy companies fell with the price of oil after three days of big, erratic moves. Apple led technology companies higher. Investors have sent stocks in different directions as they wonder if the Federal Reserve will raise interest rates next week, and they're also speculating about the health of the global economy. The Dow Jones industrial average lost 31.98 points, or 0.2 percent, to 18,034. The Standard & Poor's 500 index dipped 1.25 points, or 0.1 percent, to 2,125.77. The Nasdaq composite climbed 18.51 points, or 0.4 percent, to 5,173.77. ANALYST'S TAKE: "Overnight markets diverged. 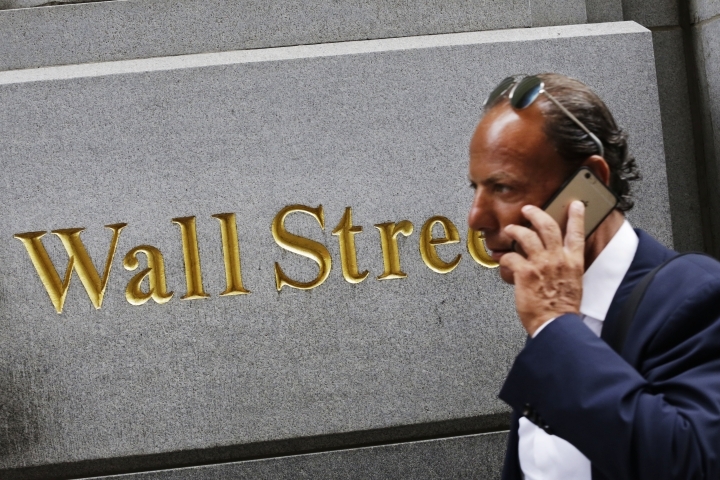 Shares in Europe and the U.S. fell modestly. Although U.S. rates fell across the board, bond curves continued to steepen. This suggests markets are expecting no change to rates this month, inducing higher levels of inflation later," Michael McCarthy of CMC Markets said in a report. BAYER BUYS MONSANTO: Seed and weedkiller maker Monsanto agreed to be bought by German drug and farm chemical company Bayer for $57 billion in cash. Bayer makes a wide range of crop protection chemicals that kill weeds, bugs and fungus, while Monsanto is known for its seeds business and the weedkiller Glyphosate. It rose 66 cents to $106.76. APPLE GAINS: Apple rose for a second day after T-Mobile said it is getting strong preorders for new iPhones. Apple gets most of its revenue from the iPhone, and those sales, while still enormous, have finally started to decline in the last year. That's hurt Apple stock, which traded above $130 a little more than a year ago. It rose 3.6 percent to $111.38. ENERGY: Benchmark U.S. crude gained 9 cents to $43.67 per barrel in electronic trading the New York Mercantile Exchange. The contract plunged $1.32 on Wednesday to finish at $43.58 a barrel in New York. Brent crude, used to price international oils, added 21 cents to $46.06 in London. It fell $1.25 the previous session to $45.85. 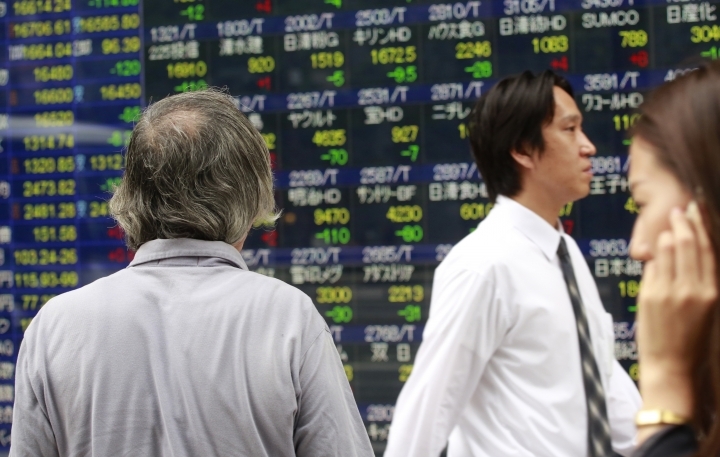 CURRENCY: The dollar gained to 102.20 yen from Wednesday's 102.36 yen. The euro fell to $1.1246 from $1.1250.